What Does LSD Recovery Include? D-lysergic acid diethylamide, or LSD, is a powerful hallucinogen originally derived from an alkaloid chemical that occurs in rye grain fungus.2 LSD alters perception and causes hallucinations in the user. 2 Some people have trouble controlling their use of this drug or abuse other drugs in addition to LSD. Cost of LSD addiction treatment. How to find an LSD recovery program. Different types of inpatient treatment. Who Answers? anytime to get assistance finding treatment programs in your area. Although LSD isn’t considered to be addictive, users do develop tolerance to the hallucinogen, which means that they must take higher doses to achieve the desired effect. 2 This can be particularly dangerous due to the volatile nature of hallucinogens. Behavioral or psychological changes (anxiety, depression, paranoia, impaired judgment). Depersonalization (the perception that your thoughts don’t belong to you). Derealization (the perception that your surroundings aren’t real). Injuries or death from car accidents, fights or accidental self-harm. Insurance coverage: Many insurance policies will cover substance addiction treatment, whether partially or in full. If you have insurance, call our helpline at 1-888-319-2606 Who Answers? to verify what your provider will cover. If you don’t have insurance, contact the Substance Abuse and Mental Health Services Administration (SAMHSA) at 1-800-662-HELP (4357) to learn about payment options. Type of treatment: Private, luxury and executive rehab facilities are more expensive than more standard inpatient facilities due to the upscale amenities and services. Inpatient centers will cost more than other options due to room and board costs. Length of program: Inpatient treatment stays can be 30 days, 60 days or 90 days, and longer in some cases. The 30-day programs will be less expensive relative to the 60-day programs, and so on. Location of facility: Inpatient facilities in desirable locations tend to cost more than ones in less desirable areas. Healthcare credit cards: You can apply for a healthcare credit card to finance your treatment. These typically have lower interest rates than other types of credit cards available. Payment plan/sliding scale: Many rehab facilities will customize payment plans in order to finance the treatment over a set period of time, while others will allow you to pay what you can afford. Crowdfunding: IndieGoGo and GoFundMe are examples of crowdfunding sites in which you can share your story and raise money by receiving donations from friends, family and strangers. Health insurance exchange: If you don’t have insurance, you can shop around for affordable insurance on the state insurance marketplace at healthcare.gov. Medicare and Medicaid: Both programs now cover the cost of substance addiction treatment. Inpatient LSD recovery centers differ from outpatient programs in that you are required to live at the facility while receiving addiction treatment. You can customize the length of your stay according to your needs, but typical durations span 30, 60 or 90 days. These programs allow you to separate yourself from your everyday, LSD-using environment and friends in order to focus exclusively on your recovery. LSD users who are unable to control their drug-seeking behaviors and compulsions may find that an inpatient treatment center is the best option. While outpatient LSD rehab centers allow you to continue to tend to your home, school or work responsibilities, they may be less suited to those with long-standing, problematic LSD use, those with additional mental health complications or those with multiple drug addictions. While similar therapeutic approaches will be used for both, inpatient recovery programs provide you with around-the-clock medical care in addition to a multi-faceted and individualized treatment plan. If you’ve made the decision that an inpatient LSD rehab and recovery center is best for you, there are a number of things to consider when selecting a specific one to suit your needs and situation. Location: It’s important to decide whether you’d like to travel for rehab or stay closer to home. Many people suffering from addiction travel to facilities in Texas, New York, Florida and California. Length of stay: Does the treatment center you’re considering offer extended treatment durations (e.g., 90-120 days, or more) if necessary? Experience: Does the recovery center have experience treating those with LSD or other hallucinogen dependencies? Philosophy: Does the LSD treatment center use a religious or 12-step approach, or evidence-based practices based on psychological and scientific research on addiction? Credentials: Do the staff members have credentials and licensures to treat substance addiction? This will ensure that you get optimal treatment for LSD recovery. Psychiatric care: Does the facility evaluate you for co-occurring psychological disorders (dual diagnosis) and provide you with ongoing psychiatric care? Are treatment team members credentialed or licensed to treatment mental health issues? Cost: Inpatient LSD recovery centers are typically more expensive than outpatient programs due to room and board costs. Look into financing options if you don’t have insurance or contact the Substance Abuse and Mental Health Services Administration (SAMHSA) at 1-800-662-HELP (4357) for more information. If you do have insurance, call our helpline at 1-888-319-2606 Who Answers? to verify what your insurance provider will cover. Aftercare/relapse prevention: Will the rehab team provide you with a comprehensive aftercare plan for ongoing addiction treatment once your stay at inpatient is complete? Following these plans closely will help to reduce your risk of relapse. In addition to standard inpatient treatment centers, there are other types of rehab facilities that may better suit your needs or preferences. Luxury: These treatment centers offer the same services as standard residential facilities, such as individual therapy, group counseling, around-the-clock care and aftercare planning. But they also have added amenities and services that more closely resemble a resort, including private rooms, yoga, gourmet food, swimming, golf and spa treatments. These options are more expensive than others due to these add-ons. Executive: These rehab facilities are similar to luxury centers except that they are specifically designed to address the needs of working professionals such as CEOs. They have Internet, work spaces, phones and meeting rooms in addition to upscale services. Treatment will usually include intake, individual and group therapy, and aftercare. Intake evaluation: You will meet with a mental health professional who will evaluate the extent of your LSD abuse, as well as any concurrent drug use and/or mental health issues that will need treatment attention. This will allow the treatment team to come up with a treatment plan specialized just for you. 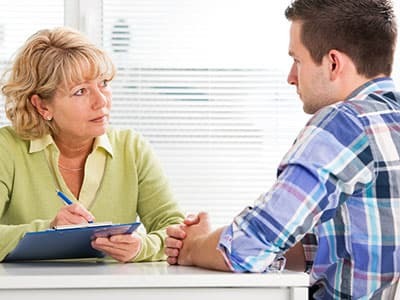 Therapy: You will meet with a therapist who will examine the underlying issues influencing your LSD abuse and addiction and work to rectify negative thoughts, feelings and behaviors. You will learn and build upon coping skills to be used in stressful situations. Group counseling: You won’t always meet one-on-one with therapists. Often, certified mental health professionals will facilitate group therapy sessions in which you learn to cope in social situations and share your experiences with others. Aftercare: Your treatment team will help you devise a comprehensive plan to follow once you complete your initial inpatient stay. This plan will outline different forms of ongoing treatment intended to help prevent relapse and provide you with support. If you are struggling with compulsive LSD use or have other substance abuse issues, inpatient addiction treatment may provide much needed help. Call 1-888-319-2606 Who Answers? – speak with a treatment support specialist about your different recovery options.
. National Institute on Drug Abuse. (2016). Hallucinogens.